Unleash that gift of yours! I’m probably most known as a music artist – I’ve been making music since 2009 and without a shadow of a doubt, it’s one of my biggest passions in life. And hey – to those of you who have been with me since the day of my first release. THANK YOU! I have so much love and appreciation for you. But…I also naturally seem to gravitate towards helping people. What can I say…? I love it. I seem to do it naturally. Recently, the ways that I can help people have really been coming into focus: empowering people to follow their dreams. YES! What better way to use my experience as a creative than to empower people to pursue their own creative passions? This really is the golden nugget for me. 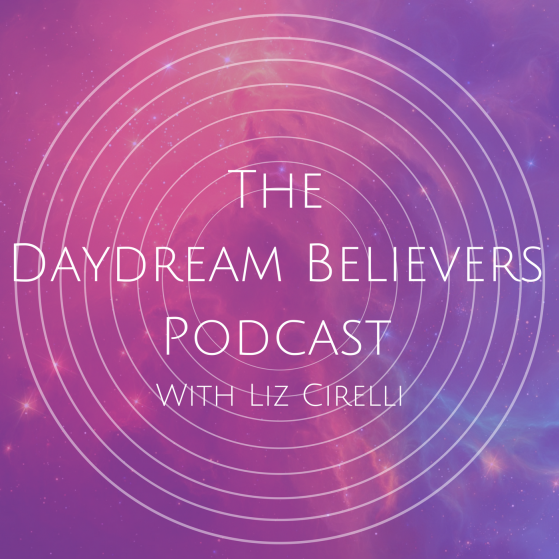 This led me to set up an online coaching community called Daydream Believers. It was born a little under a year ago – and it has grown into such a beautiful place. I thought it would also be really lovely to get some of the members of the community together so they could tell you themselves about how it’s been helping them. All of us pulled together to make it happen. I know so many amazing creatives who are struggling to make ends meet and this has such a detrimental impact on not just their creative output, but their overall well-being. This is NOT how things should be. Creativity is a gift and should be celebrated. Our unique gifts should be treasured and honed, not ridiculed and snuffed out. We should be able to make a living from our gifts without being commoditised or exploited. We should be able to express our creativity as it comes to us, without having to fit into a trend or an industry demand. I want to empower people all over the world to follow their dreams because I believe that in doing so, I will do my part in making this world a better place. My big vision is to be able to empower children from troubled or underprivileged homes to follow their creative calling and live enriched and fulfilling lives. Thank you. I love you all.